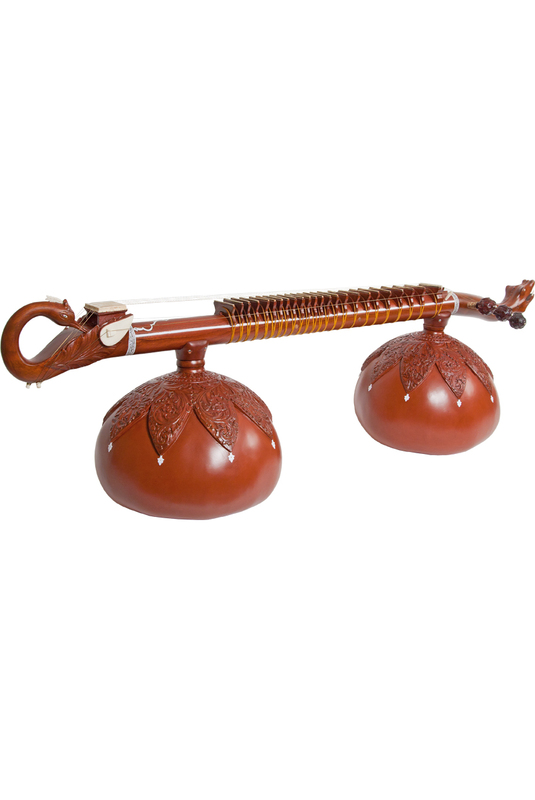 banjira 54 Inch Rudra Veena 7 String Double Toomba Carved. 54" long. Double animal heads perch atop two large carved toombas of the same size. It has 7 strings: 4 main strings and 3 chikari strings. The mythical animals will vary from instrument to instrument. Special Freight Delivery is required for this item due to its size. The item is shipped on a pallet via special truck freight carrier. The special truck freight carrier will contact the buyer in advance to schedule delivery. Delivery within 5-10 business days. The buyer or buyer’s representative must be present at time of delivery to inspect and sign for delivery.